Upon finishing my freshman year, I looked forward to the long awaited summer holidays where I can finally fly back from the States to Singapore to reunite with my family and catch up with old friends. Like many Singaporeans abroad who just returned home, I immediately went on a food hunt to eat my favourite foods (Oh how I miss you Bak Chor Mee…). Within a week, I’ve pretty much settled comfortably at home. However, there is this inevitable question that almost everyone faces, “What are you going to do during your summer break?” That question stuck to my mind everyday. Do I just relax, read some books, hang out with friends and enjoy my holidays? Or do I take up a part-time job to earn me some extra cash? Or maybe take up an internship? There were many options I could choose from but I decided to split my break into a month of relaxation and chilling and then the remainder to work/intern. Knowing that I didn’t leave enough time for a regular internship, I didn’t look for one (who hires an intern who can only work for a month and a half?). Also, I had two family vacations out to Indonesia right in the middle of the summer holidays, which made it more unfeasible for me to get a regular internship. The only two options I had left then were to take up a part-time job or just enjoy the holidays and remain ‘unemployed’. That changed when I had a family dinner with my cousins’. While it was mostly to reunite and catch up, that same summer question popped up at the table once again. Cynthia, one of the co-founders of Call Levels, said Call Levels was open to new interns and suggested I come over and intern at her company. At first, I was a bit hesitant, imagining how awkward it might be working alongside with your cousin at her own company. Of course, I already knew of my cousin’s FinTech startup company so I wasn’t too unfamiliar with it. After a day of consideration, I finally told her I’ll join and intern at Call Levels. After all, this should be better than wasting time at home, right? I was a little happy to be at the office by 11am and that I was told to dress casually. Not knowing how casual they meant, I felt it should be alright to dress in a polo tee and jeans. When I stepped into the office, I could see people wearing shorts and t-shirts. Some were even wearing their sleeveless training tops! It wasn’t a typical office with cubicles but just one room where everyone has desks to work in. It’s a very open kind of environment, which I can appreciate. Anyway, I was introduced to be part of the growth team and met with other interns who also part of the team. Fortunately, there was another new intern named Darren who came in at the same time. At least we both start out fresh. Cynthia briefed us about Call Levels and what they do and their strategies for achieving growth. As she showed us and explained the various documents and files online in their Google Drive, I simply went dizzy from the sheer amount of work that was in store for us. To say that the first day on the job is tough is an understatement, well at least mentally. This was especially overwhelming for me as I’m an engineering student with little knowledge of the financial world. I had to learn and adjust quickly to the type of work I was given. Luckily, to ease my adjustment to this new type of work, we had two other interns who were more experienced than us and they showed us the ropes in how they do the daily tasks. Being an intern at the growth team was not as easy as I thought. Eunice, our VP for Growth, manages the growth of Call Levels and assigns us tasks to complete. Growth team’s tasks include managing social media accounts, publishing new articles (Market Monday, Feature Friday and growing personal finance) at least 3 times a week, seeding out content in various forums, outreaching to various blogs and media as well as to respond to feedback emails. I feel that replying to feedback emails from users are by far the most significant as it shows our willingness to listen to them and makes us more approachable to them. Our users are the top priority to the growth team and it is with this goal that we aim to further enhance our app to give quality service to them while raising the prospect of increased downloads and app usage. Although that is the general work we all do, each of us are assigned to handle certain aspects. I managed Call Level’s twitter account, expanding our followers and retweeting important and relevant news. I also took charge of handling Quora, where I answered various personal finance or investing related questions and linked them back to our blog page. On top of the regular tasks we handle weekly, we also have massive amounts of research put into various projects and other ad-hoc tasks we’ve been assigned to. Once I became accustomed to the pace of work, I worried less about the amount of work and focused more on the tasks, handling them one at a time. Perhaps the biggest milestone was CoAssets’ Expo for Property, Investing and Crowdfunding (EPIC) startup pitching competition on the 8th of July. My fellow intern friend, Cassidy has already described her experiences here. For me, I’m not comfortable with talking to strangers, much less trying to pitch our app to them. I saw how hardworking all of us at growth team were in promoting our app to the public and then I decided to venture outside my comfort zone to do the same. Granted, I couldn’t speak fluidly the way the rest did but I felt it was worth the leap. AIso, I had a meaningful conversation with the head speaker, Mr Leon Toh who provided some tips and motivation for me in the future. Anyway, after a long day of pitching, we finally clinched first place! After my month and a half internship at Call Levels, I can proudly say that I’ve learned a lot more about how a startup operates. 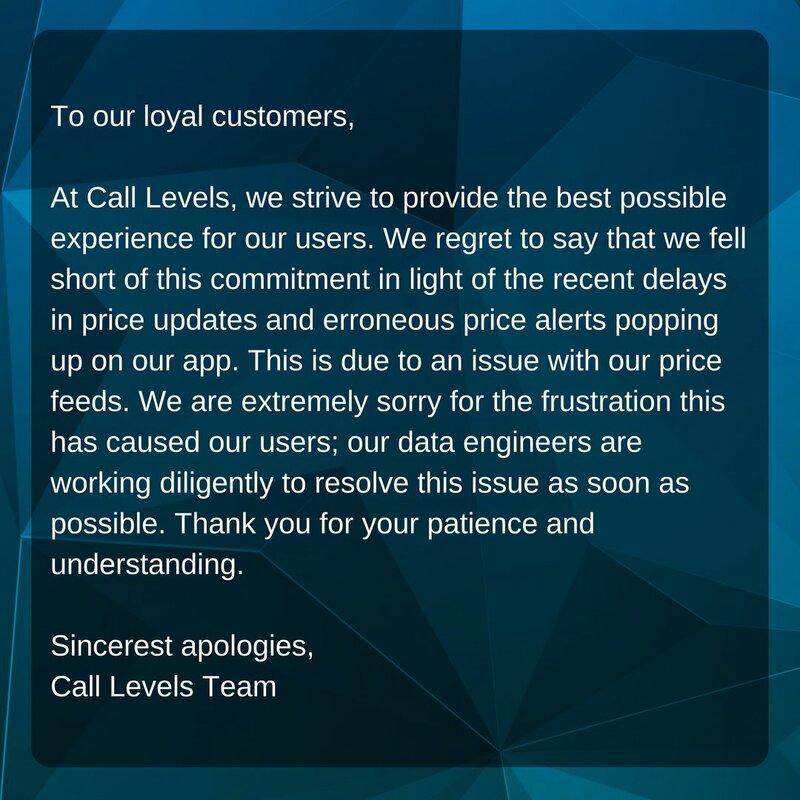 Though Call Levels is slightly more mature compared to other startups, it still has obstacles to overcome and requires careful planning in order to keep it running successfully. The continuous effort put into brainstorming growth strategies as well as having good communication between the tech guys and the growth team is a crucial element in keeping Call Levels alive and kicking. Without one or the other, Call Levels wouldn’t get this far. Another lesson to take away from this experience is not to be afraid to ask questions. If you are unsure, just ask. As Cynthia had told us before, no idea or question is dumb. Though you might feel guilty of wasting people’s time in answering your ‘dumb’ questions or queries, it is way better to get it sorted out now than messing things up in the future. No job is too easy when you have multitudes of tasks to fulfill. It really is easy to lose track of your work when you are busy working on other things. It wasn’t easy managing my time interning while undergoing an online summer physics class. My stint at Call Levels has forced me to prioritise my work accordingly. Intern by day, student by night. I had often wondered why I chose to intern right when I’m taking an 8-week summer class. This ill-timed situation left me with lesser time to focus on my homework and revision. However, I had to manage what I had on my plate and planned out my routine. My internship here at Call Levels has also introduced me to the financial markets, something I wouldn’t really consider as much since I’m an engineering student. I’ve even downloaded the Call Levels app as well as an online virtual trading app, Tradehero, to get me started on basic trading and investing. I had also done some research on various companies or countries and their performance in response to major economic events. That has surely proven to me that there are more ways an event can affect us than what meets the eye. I’d never considered interning at a Fintech startup as it’s something you might not expect for an engineering undergraduate to undertake. However, this experience has not only taught me the important takeaways as mentioned above, but also made new friends and connections. Not many engineering students would take up an internship at a startup, but I feel that this experience can help differentiate me from them. This internship has boosted my confidence to step out and work in a more varied environment than just a conventional office. This piece was written by David Sutanto (2nd from left in the picture above), a freshman at Purdue majoring in Engineering.